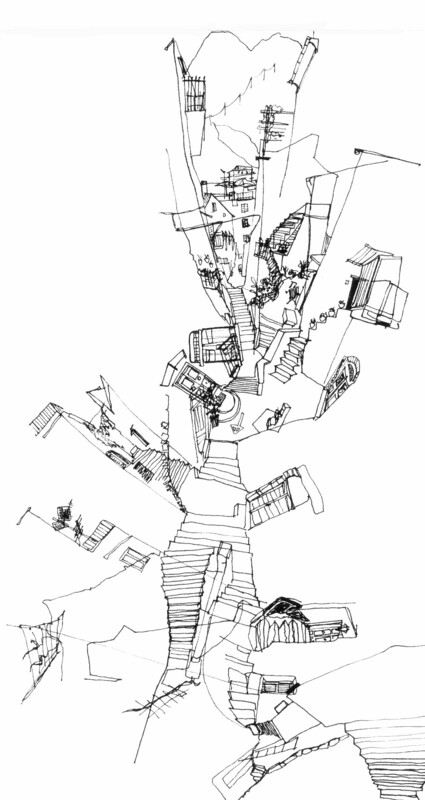 Kirsten Sparenborg Brinton is an artist, an architect and an architectural historian. She received an architecture degree from Virginia Tech and a master’s degree from the University of Virginia. 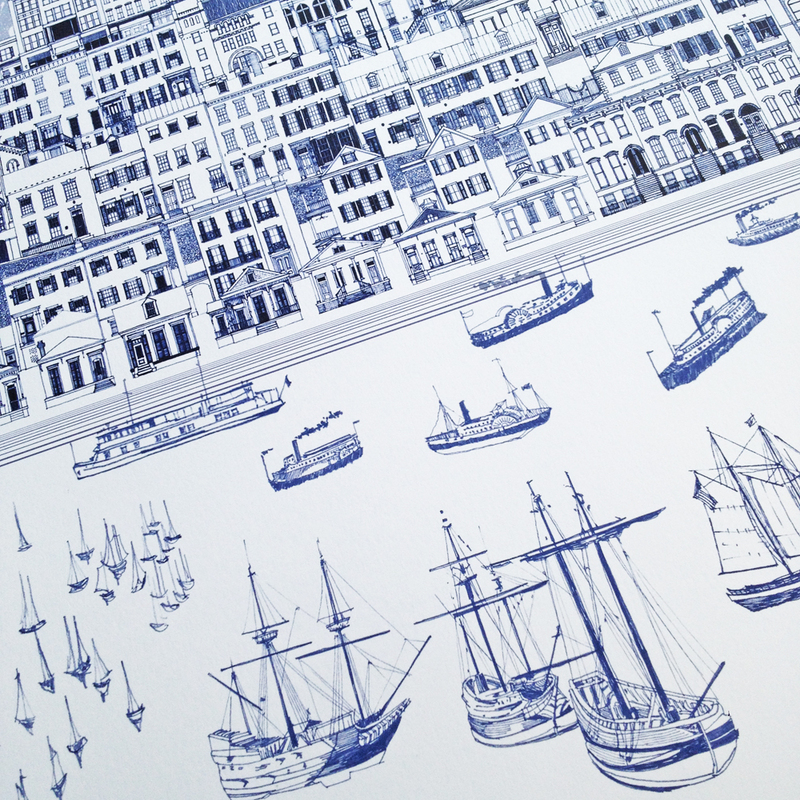 Brinton has an expansive collection of map -drawings, streetscapes, cityscapes, temples, and other assorted wonders. She lives in Washington state. Tell us about your background and your art. I’m an architect by training and learned to draw while traveling Europe as an architectural student. Among the old stone hillside towns, I concocted a way of drawing that combined plan, section and elevation which suited my desire to express the feeling, the experience, of the place, not just to replicate what I saw in a single glance, like a photograph. I call this “experiential drawing.” I’d often walk through a place while sketching as my drawing sprawled over the pages. So, in all of my work since then, I’ve wanted to convey the experience of a place. Following architecture school, I made a book about small towns comprised of my photographs and interviews of residents who’d seen boom and bust in their towns over the decades. I traveled all over Virginia and made photos with an SLR and medium format cameras, rolling and developing the film myself, just before everything turned to digital. This work was done in and through the Community Design Assistance Center at Virginia Tech, and the book was published by UVA Press in 2010. After the book work was complete, I worked as an architect and urban designer on some very interesting projects in and around Savannah GA, for seven years. I moved to Savannah before landing a job on the basis that I could really love drawing this historic city. And I did. I started my studio/shop, Turn-of-the-Centuries, there, beginning with greeting cards and postcards and expanding to handmade books and larger prints featuring my Architectural Map-drawings. 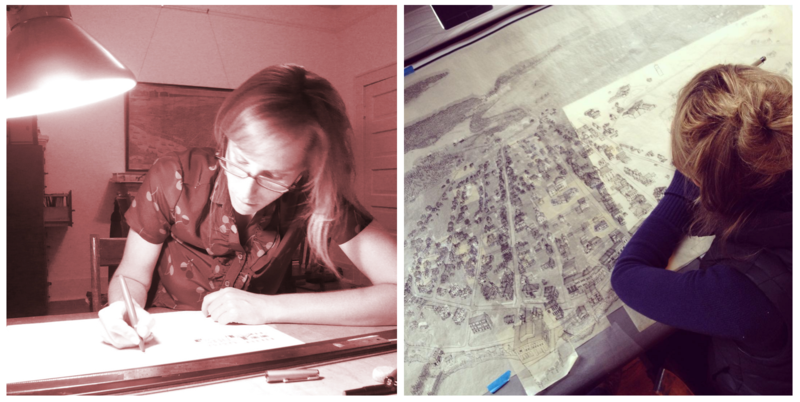 Steeping in Savannah’s history, I decided to pursue a graduate degree in Architectural History at the University of Virginia and wrote a thesis on Maps of Savannah inspired by the research I did while working at Sottile & Sottile Urban Analysis & Design. My day job was rigorous and wonderful and exposed me to places, people and politics I would not have easily accessed alone. The experience was fuel for my own work in that I craved my own imprint and wanted to explore modes of representation that veered more toward art than was practical in the firm. My drawings of Savannah’s architecture helped me hone my experiential approach into something a little more comprehensible than exploding architectural sketches. 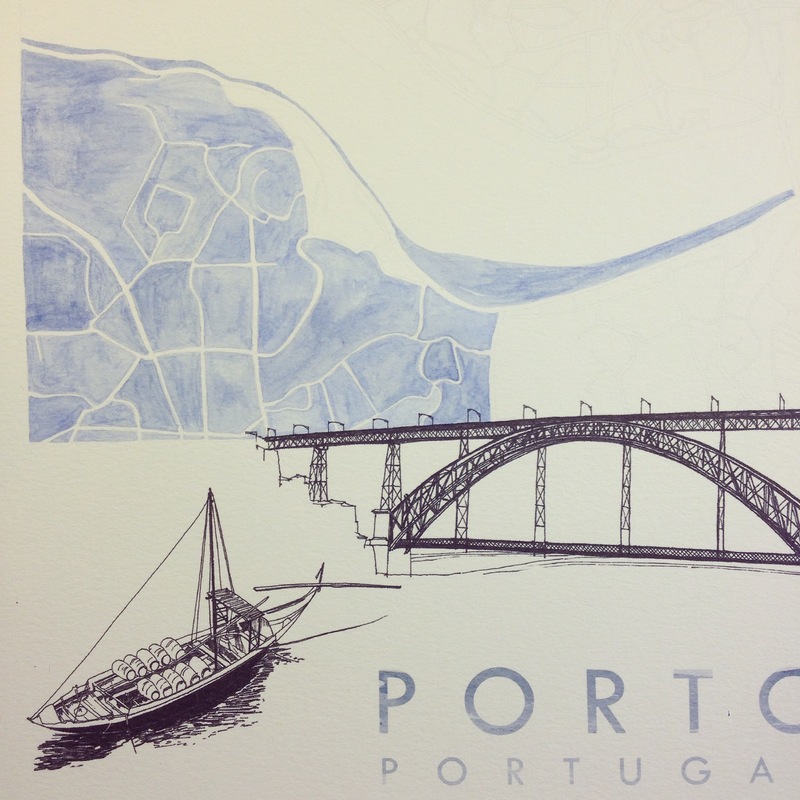 I wanted to create works that embodied the spirit of treasured places and could be welcomed as souvenirs of such places. How did your streetscapes series develop? 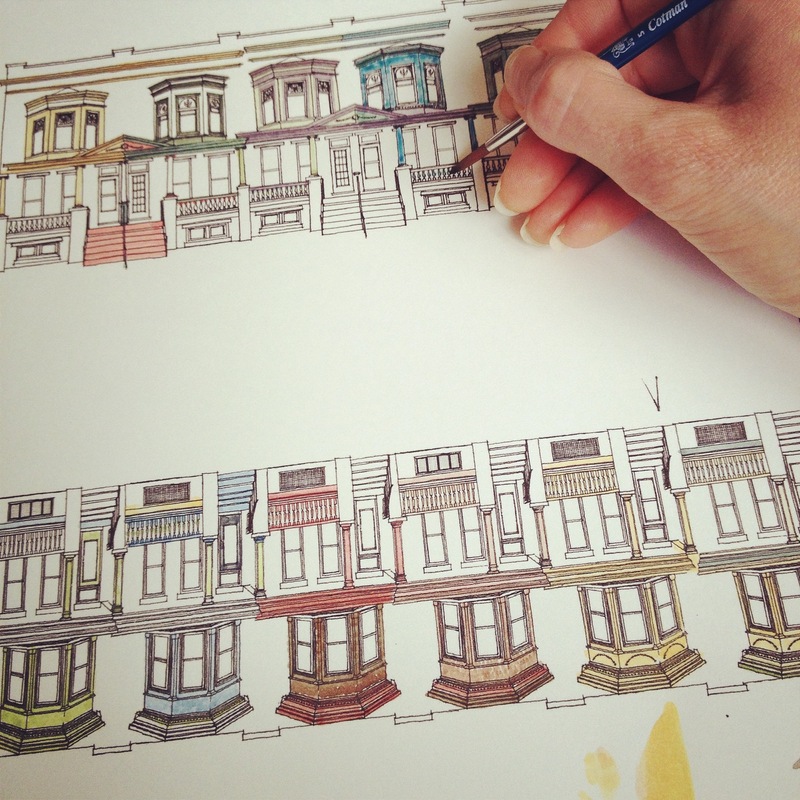 I began drawing architectural streetscapes (continuous front elevations of city blocks) in Savannah and created books of the drawings that fold out, accordion style. I also created prints of single block streetscape drawings, including some in other cities like New Orleans and Philadelphia. I drew from photographs, free hand. These were my signature pieces for several years until I became pregnant and started to think about simplifying my work to be more efficient and more relaxing. It’s a challenge to draw the streetscapes! So, this year, with the birth of my son, I began drawing and painting city street and block maps. They’re a much more abstract representation of a place, a city. But, in the abstraction I think there is more room for conjuring one’s favorite thing about that place, the essence of it. The representation is fairly straightforward. I select the boundaries of the city that include its most beloved spots – this always includes the historic core. I draw the streets in black lines of various weights and darken/lighten some lines for emphasis. This is the City Streets Map. 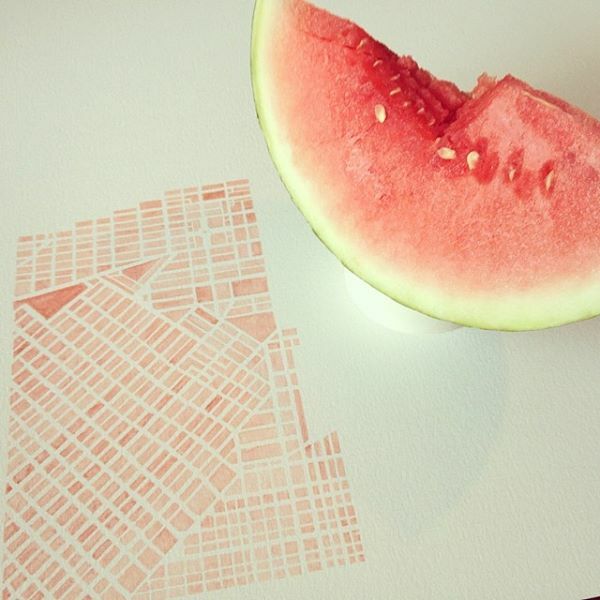 I use this underlay to create a map that shows only the city blocks, enlivened by watercolor. This is the Watercolor City Blocks Map. I select a color that seems fit for the way the city makes me feel — Or, as I paint all of these now as commissioned works, the buyer chooses the color! 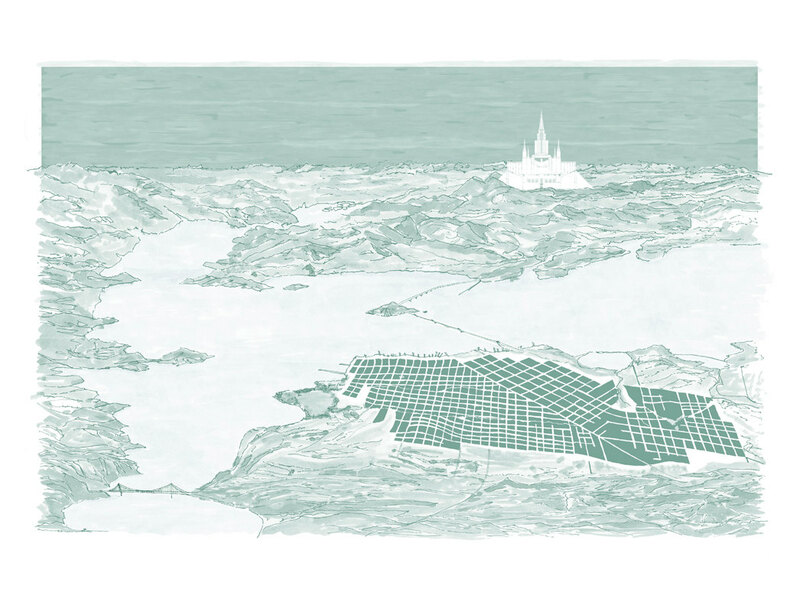 The result is stunning (I think) as it reveals the city’s geometry, different developments over time, converging grids that belie a historic shift in city planning or land ownership or folds in the landscape. This really excites the urban designer in me. You can talk about the city for a long time, even a lifetime, while looking at these maps. What has been the evolution with your temple images? I’ve long wanted to use my talents to express my beliefs, to praise, uplift, “build the Kingdom”. I love how Gladys Knight can do that – She’s amazing and I envy her ability and position. But I am no diva. 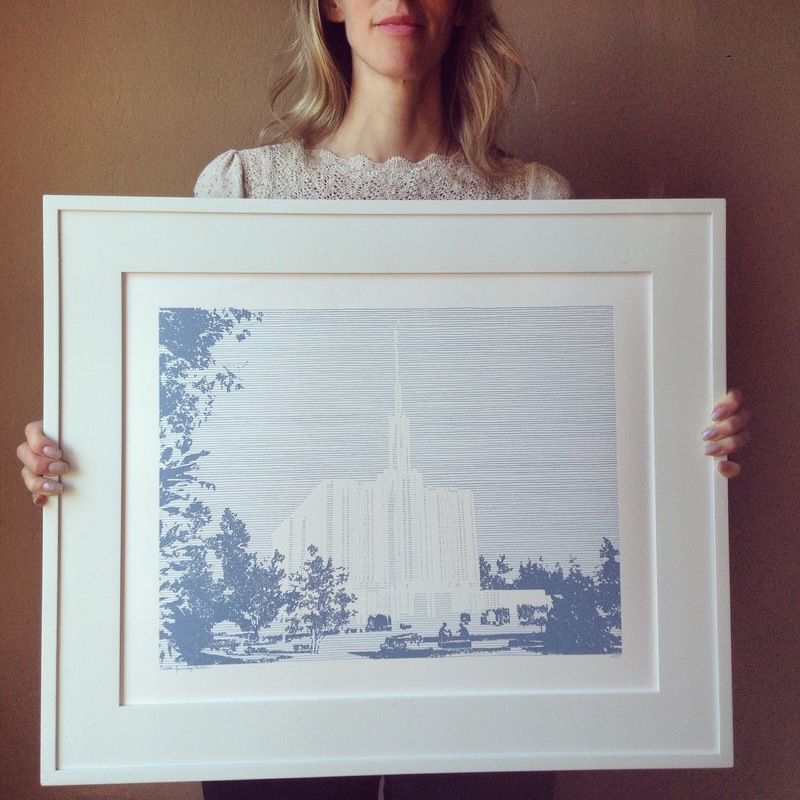 A few years ago, spurred by a request from an acquaintance to draw the DC temple to frame on her wall, I embarked upon a quest to represent the most sacred buildings on earth in a manner befitting the eternal relationships for which they stand. 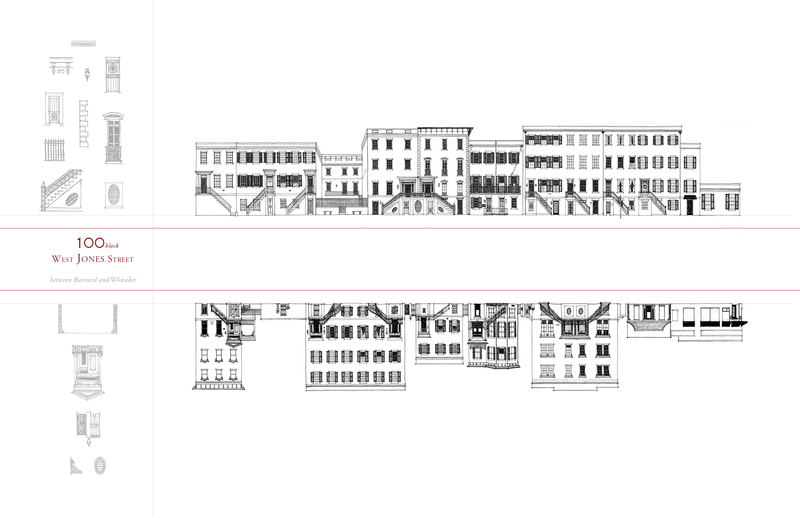 My streetscapes line drawing style was too playful. I didn’t want to be cute; the temple is a sacred, and serious, place. I’d drawn the temple in pencil by commission earlier but didn’t feel gradations of graphite was my “voice.” Others do this so well! In the temple there is an absence of the clutter of the world, as if a pure white void we slip into with our change of clothing. Here, we connect with God and see His eternal plan in expansive ways. My drawings make the temple a pure white void on the paper as the parallel lines fill the space around. In the void we are filled. Our own personal feelings and memories about the temple that is beloved to us fill our minds as we gaze upon its abstracted representation. What are you working on next? I plan to draw architecture again – including many more temples! 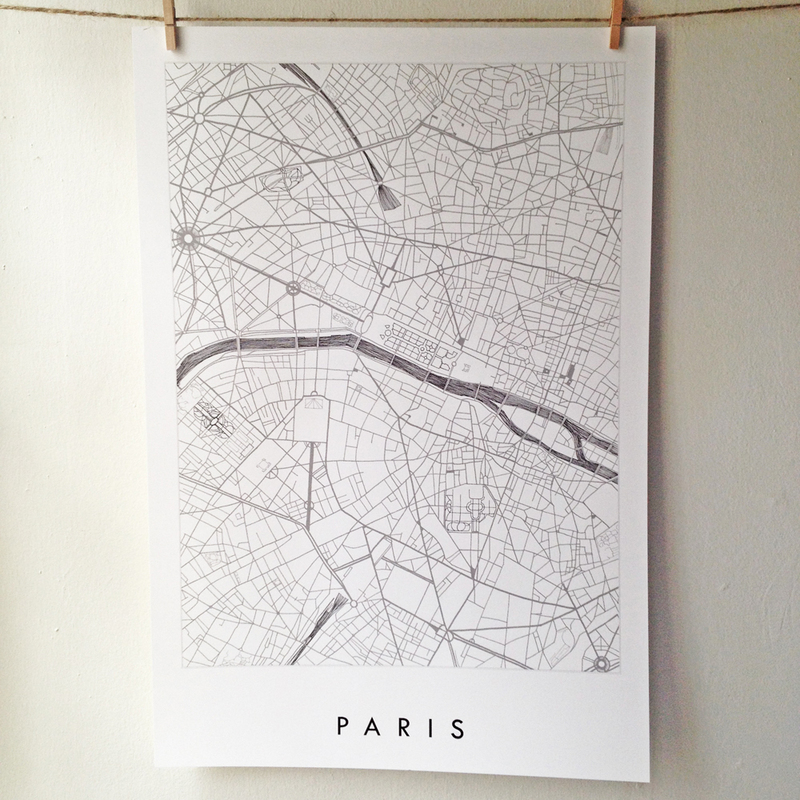 In the next few months, I’ll be completing commissions for city map drawings. I feel like I’ve defined what I do – Architectural Map-drawings and Temple drawings – to a comfortable degree, and I am grateful to be able to make drawings that resonate with others’ sense of place. Not chasing fleeting inspirations at all hours of the day and night (done that) allows me to try to be a respectable wife and mother. So the current challenge is making time to work that works for my family. Creative work fuels me and makes me a better, happier person. Making things for others who desire to capture the essence of a favorite place is so satisfying to me. I do a fair amount of custom work as I am able, especially for weddings. So, as long as my eyes and hands work I am in it for the long haul. Perhaps my son will someday be by my side as a helper! What am I working on next? 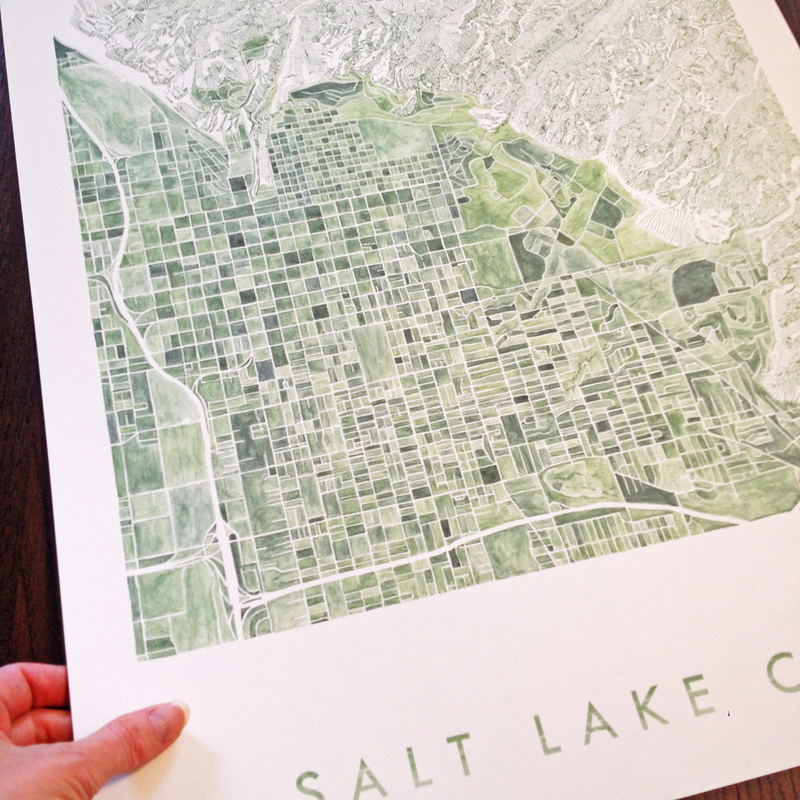 More city maps, more architecture, more temples – new drawings and new canvas prints. Also some fabric design, perhaps canvas tote bags, temple bags, anyone? Visit Kirsten Sparenborg Brinton’s website. Follow Kirsten Sparenborg Brinton on Instagram.